Were you charged with marijuana possession? Or has someone you love been arrested for heroin distribution? Regardless of the specific narcotic, the criminal defense attorneys at Proetta & Oliver are available to protect you against any New Jersey drug charges. Under the Governor’s Administration, and continuing still, County Prosecutors have taken a hard-line approach in prosecuting drug crimes in New Jersey. If you have been charged criminally, you may be facing Mandatory Drug Court, extended prison sentence, mandatory license suspension or some other form of ”justice.” We at Proetta & Oliver understand that every defendant is particularly situated and may respond differently to a sentence of rehab v. imprisonment. We take a hands-on approach to every client’s case and work to create a positive outcome that fits our clients unique needs. While not every case is going to trial, you can rest-assured knowing that we are prepared and able to take your case to verdict, when necessary. If you have been charged criminal in Burlington County, contact our office directly at 609-850-8284 today and speak with an attorney about your case and what can be done to protect you going forward. The initial consultation is always provided free of charge. 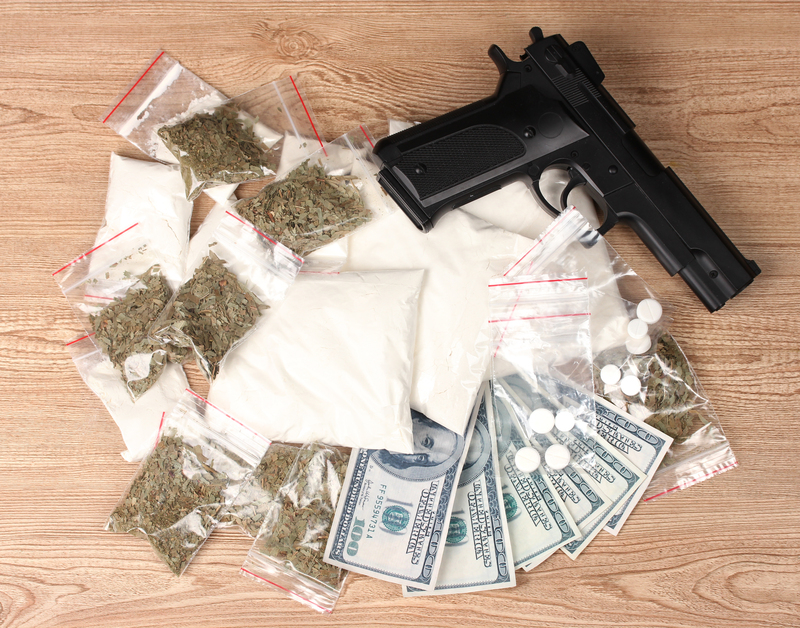 What is an Illegal Drug Search? Clients constantly retain our services for charges stemming from a motor vehicle stopped-turned criminal arrest. When this happens, there is a strong possibility that the officers conducted a search of the car without a formal warrant. If this happens, it is imperative that we preserve all evidence (MVRs, Audio, dispatch tapes) to uncover the circumstances underlying the presumptively unlawful search. Because the potentially exculpatory evidence is subject to “destruction,” and attorney must send preservation letters to local law enforcement. If you believe you were subject to an unlawful search or warrant-less search, call our office today at 609.850.8284. Pursuant to legislative mandate, the New Jersey Superior Courts have implemented Mandatory Drug Court for certain offenses. As outlined in Section III: Drug Court Expansion Projects, the “Special Probation” statute N.J.S.A. 2C: 35-14 was amended to require admission to the Drug Court program of otherwise eligible offenders regardless of whether they made a voluntary application. The types of situations that trigger mandatory drug court vary and you should speak with an attorney to determine if you fall into this category. For those unfamiliar, Drug Court affords non-violent drug defendants an alternative to prison. Specifically, participants will engage in a program that involves regular court appearances, drug treatment, frequent and random drug testing, and intensive supervision by probation officers. Depending on the circumstances of the underlying offense and the defendant’s responsiveness to the program, Drug Court can last up to five (5) years. However, most participants typically spend about 3 years in the program. In Burlington County, the Mandatory Drug Court Program was set to take effect on or before July 1, 2015. It doesn’t’ require a law degree for most people to realize the severity of criminal charges. Not only are you facing a loss of freedom through incarceration, but you are also jeopardizes your future as many employers will shy away from hiring a “convict”. At Proetta & Oliver, we have successfully handled thousands of drug cases across New Jersey, including Burlington County. Additionally, firm partner William C. Fay, IV, is a former New Jersey Deputy Attorney General who has spent part of his career handling cases on behalf the State and working hand in hand with Detectives. We handle cases at the Burlington County Superior Court, as well as the Mount Holly Municipal Court, Evesham Municipal Court, Pemberton Municipal Court, Mount Laurel Municipal Court, Burlington Township Municipal Court, Moorestown Municipal Court and many more. Call 609-850-8284 and take a proactive step to fight your criminal charges.